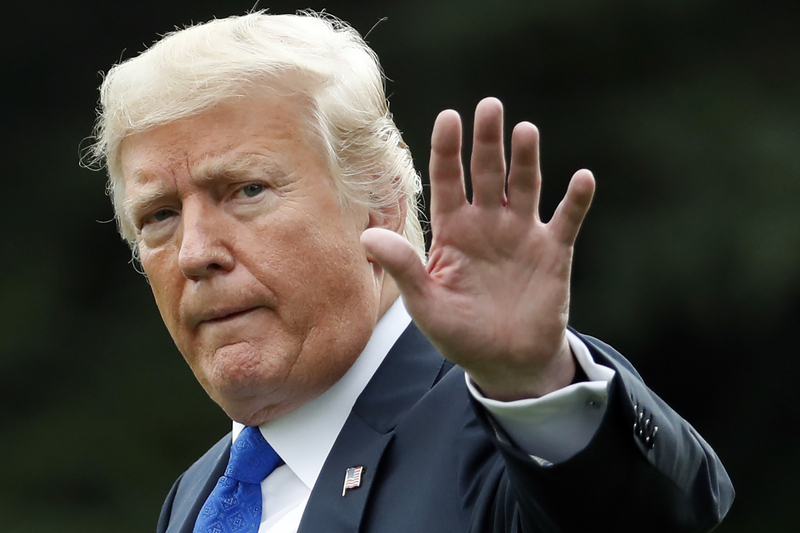 WASHINGTON (CN) – President Donald Trump took to Twitter Friday to defend Supreme Court nominee Brett Kavanaugh, saying if the sexual assault a professor has accused the nominee of committing when they were both in high school “was as bad as she says,” she would have reported the incident to police. Trump has largely remained on the sidelines as the allegations against Kavanaugh have developed in the past week. The president earlier in the week said it might be appropriate to delay a vote on Kavanaugh’s nomination while senators evaluate the claims of Palo Alto University professor Christine Blasey Ford, who says Kavanaugh forced her into a bedroom, pinned her down and attempted to remove her clothes at a high school party in the 1980s. But in a series of tweets on Friday, Trump said “radical left wing politicians” are pushing the allegations as a way to “destroy and delay” Kavanaugh’s nomination. Ford has said she did not tell anyone about the incident until a couples therapy session in 2012. Ford came forward to the Washington Post over the weekend after detailing her allegations in a letter to Democratic lawmakers over the summer. Since the existence of the letter leaked out last week, the Senate Judiciary Committee has invited both Ford and Kavanaugh to testify before the committee on Sept. 24, though Ford has not yet accepted the invitation. Democrats in the Senate have called on the FBI to investigate Ford’s claims against Kavanaugh, calling the Judiciary Committee’s planned hearing a “sham” and saying non-partisan investigators are necessary to get to the bottom of the allegations. But the FBI has already said it does not have a further role in the matter, having already added Ford’s letter to Kavanaugh’s background file as is its standard practice. Trump on Friday dismissed Democrats’ call for an FBI investigation. Meanwhile, Senator Chuck Grassley, the Iowa Republican who chairs the Judiciary Committee, continues to negotiate with Ford’s attorneys about whether and in what way Ford will tell her story to the committee. The Associated Press reported early this morning that Ford’s attorneys have left the door open to her testifying before the committee next week, though preferably on Thursday and only with certain conditions attached. The Judiciary Committee has offered her the choice of testifying either publicly or behind closed doors. Grassley’s office said the senator’s staff talked with Ford’s attorneys by phone yesterday about having Ford appear before the committee and that Grassley “remains committed to providing a fair forum for both Dr. Ford and Judge Kavanaugh.